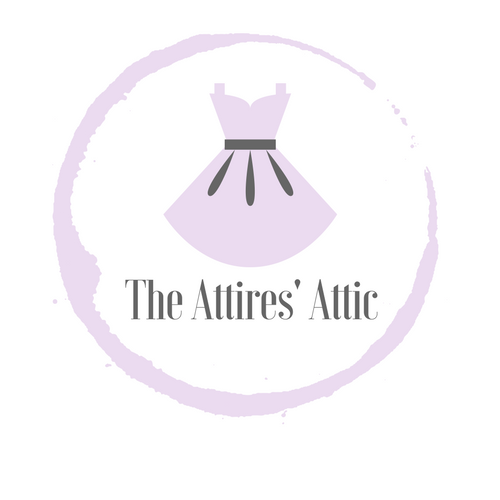 Welcome to The Attires’ Attic (TAA). TAA has been in a longest hiatus after August 2014. The Company was established in 2008 and has sold up to more than 250 types of fashion designs within the 6 years. This year in 2018, TAA strive to make a comeback by bringing you an even better, finest, and affordable clothing. Happy shopping! Please read T&Cs carefully, as it indicates that you have acknowledged, understood, and agree to adhere to the T&Cs after purchasing in TAA. All orders are delivered by Pos Laju. Estimated delivery time is approximately 1 to 3 working days after payment is confirmed by TAA. For restock items, delivery time varies. Kindly note that restock items will be highly depending on our supplier's availability. Delivery time will be stated accordingly in the website. Kindly ensure that you have agreed with the time frame before placing the order. Please order if only you can wait. Currently we only accept Manual Bank Transfers (ATM Transfers / Cash Deposit / Cheque Deposit). Please note that we hold the rights NOT to process your order until we ensure that the payment is successfully credited into our account. Please email us at attireattic@gmail.com for payment notification. Please send us your BANK IN SLIP as a proof o payment - this helps our team to process your payments more efficiently. For international orders, we accept Paypal. Do contact us via CONTACT US FORM to inquire. Please note that your items may have a slight variation from images published on the website due to factors such as: computer screens lighting, studio lighting and monitor resolutions. Kindly note that this will not be considered as a defect. All sizes and measurements of items on this website are based on approximations, please allow difference of 1cm - 5cm in each pieces. Measurements are taken laid flat. All sales are final after your order is confirmed. Cancellation, amendments, changes of design, quantity, color and/or size will not be allowed. Please check your order details before placing the order. We do not arrange for "combined" order should there be any orders being placed separately. Email notification will be sent if there is an event of bounced parcels. Please take note that the cost for re-delivery will be borne by the customer. TAA reserves the right to forfeit your parcel if items are unclaimed within 3 months. We do not arrange for "combined" order should there be any new orders being placed separately. Strictly no combined orders as the parcels are sent according to each Order Number. We do not arrange for "combined" order should there be any new orders being placed separately.